It was 1983. As a TWJ (Thomas Wickham Jones Foundation) Fellow, I had flown the Atlantic to Detroit, via New York, with my wife and two-year-old son. It was late on a Sunday, we were exhausted and there was no easy prospect of transport on to Ann Arbor. But a young University of Michigan trainee had driven his battered old hatchback all the way across the state to ferry us, a favour I have never forgotten. The car may, I suspect, have changed, but John Niparko never did, even as his career flourished. ‘Nipsi from Ypsi’ as he was known to us all back then, will be sorely missed. 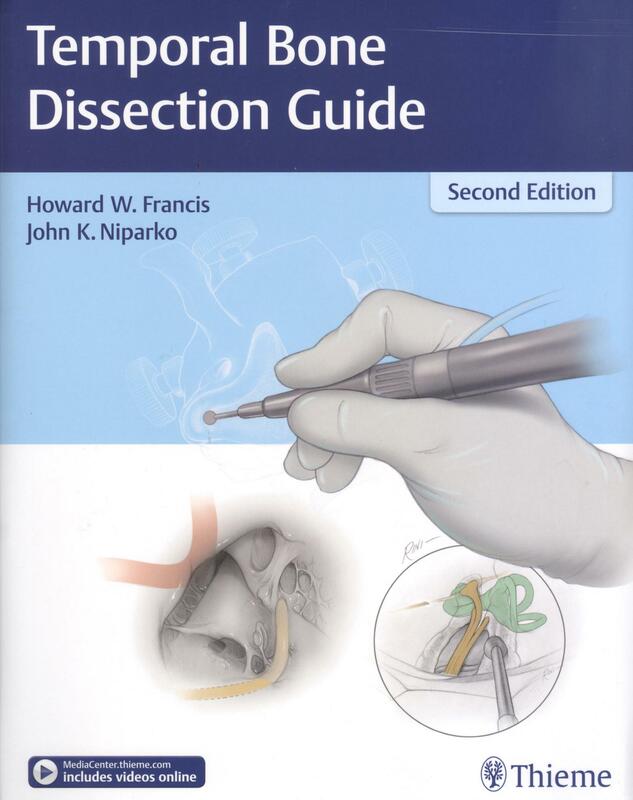 The second edition of this dissection guide is largely the work of two authors, from opposite coasts of the USA, and it has developed since the first. It now provides increased coverage of dissection of the infratemporal fossa and extended middle cranial fossa. Novelties are endoscopic ear surgery and objective measures of progress in skills, for the novice. A really thoughtful inclusion is entitled ‘Skill Transfer to the Operating Room, Including Management of Complications’. In practice, the chapter concentrates solely on the latter and, even then, mostly on control of acute haemorrhage. The end result, which at first seems an odd inclusion in a laboratory dissection manual, is alone worth the price of the book! This is a sturdy, ring-bound paperback, ideal for the temporal bone laboratory environment. The opening chapter, in just three pages, is filled with tips as to wielding that drill safely. Inevitably, the pure anatomy follows, but with great reproduction of axial and coronal computed tomography scans to illustrate pneumatisation (with an ‘s’ on this side of the water!). Once soft tissue dissection gets started, the text is amplified with ‘pearls’ and ‘pitfalls’, and a profusion of monochrome line drawings. In a stepwise fashion, through cortical mastoidectomy, posterior tympanotomy, atticotomy and canal wall down mastoidectomy, the temporal bone is turned to dust. Endoscopy, labyrinthectomy and the approach to the internal auditory canal follow on. For the novice really wishing to tackle a Fisch class Di2 glomus tumour, coverage of the potential pitfalls may yet discourage! The 77 pages of text are packed with the knowledge that many of us were fortunate enough to gain from time with and in courses run by Dr Malcolm Graham, who provides the Foreword. The purchaser also gets access to videos of temporal bone dissection to further inspire. Surgery has come a long way since 1983, with monitoring, imaging, simulation and virtual reality, but, in the end, this book shows that the basic principles have not changed. The surgeon still needs the eye–hand co-ordination, the spatial awareness and the knowledge of anatomy that only comes from practice. Every trainee needs a personal copy of this book. If you just buy one for the laboratory, it will ‘walk’ within days.